Rafał Milach’s series portraying the lives of seven characters residing in contemporary Russia is travelling this autumn to Odense, Denmark. The series 7 Rooms was first exhibited in 2012 at FOTODOC centre for documentary photography in Moscow, to then tour to a number of locations in Europe (Warsaw – Zachęta National Gallery of Art, Groningen – Norderlicht Photo Gallery, Berlin – C/O). On 6th September the exhibition of the series is going to open at the Brandts Museum of Photography in Odense, Denmark. The project was realized by Milach over the period of seven years – it portrays seven characters in their thirties and their lives in contemporary Russia. The stories of the figures: Gala, Lena, Stas, Mira, Vasya, and Sasha and Nastya constitute "6 rooms" in the narrative created by Milach. They all come from three different cities: Moscow, Yekaterinburg, and Krasnoyarsk and lead very different lives. What connects them is their encapsulation between the mentality of the old Soviet regime and the up-and-coming Russia of the Putin era. Liza Faktor describes the project as "a subtle journey into the loss of direction, into the sad and beautiful connection with [the] country." She adds: "you would be surprised that in all the richness of the Russian language, where there is a separate word for everything, the word 'country' means both the territory and the government." The series as a whole is far from generalizing or striking a note of sensationalism. On the contrary, Rafał Milach was carrying out a "first person narrative" in creation of this project and consistently escaping the stereotypes of poverty, alcohol abuse, and obscene displays of wealth. The stories do not only refer to the characters' everyday lives and their political backdrop, but become a reflection of the author’s encounters with each of them. I have been through three phases in my relationships with my heroes. First, they were my guides through their cities, then they became the heroes of my photos, and then finally they became friends with whom I talk more than I photograph." 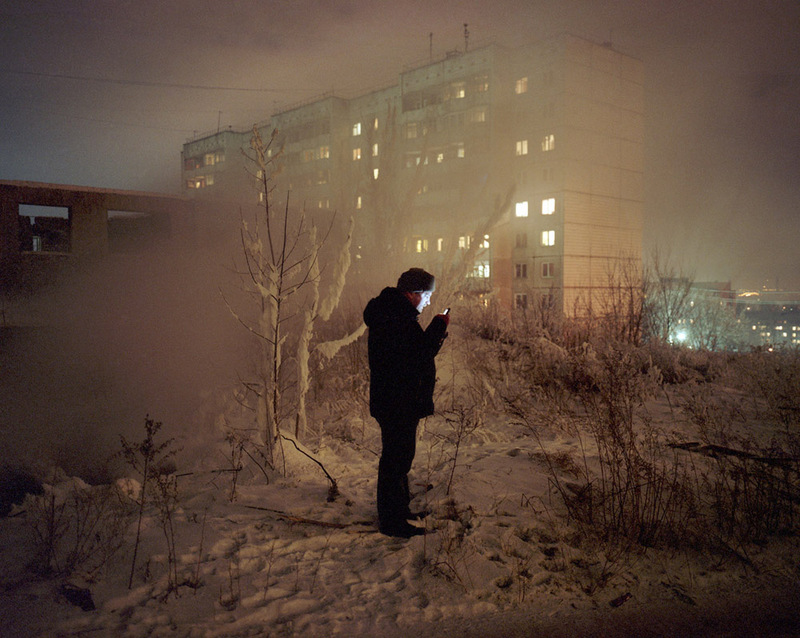 …[7 Rooms] will give you an image of Russia that probably will confuse you because it’s not just black and white. And it’s stories involving people who only have a first name – instead of those black-and-white ones where people only have a last name." It is hard to tell where I got that passion for the former Soviet Union from. Something draws me to it. Maybe this is because I have got some family near Baikal, in Kaliningrad and in Belarus. My grandparents come from the borderland. I am really fond of the mentality of the people there. They are frank, spontaneous and straightforward. It feels like home whenever I’m there. Even back in New York I felt best in Coney Island among Ukrainian and Russian Jews. I could talk to them in Russian. This is just something that is rooted in the back of my head." The 7th room of the series is devoted to a critical text by Svetlana Alexievitch taken out of her book Enchanted with Death. It tells the stories of people and their experiences after the fall of the Soviet Union. Both the photographic and the written projects refer to "the metaphorical baggage of the generation born in the USSR" in a way that is both personal and critical. Before turning into an exhibition, the series had also been published in a form of a book by Kehrer Verlag (2011) – and earned the artist international recognition, as well as the POYi Award for Best Photo Book. Rafał Milach (born 1978 in Gliwice) is a graduate of the Academy of Fine Arts in Katowice in 2003 and the Institute of Creative Photography (ITF) in Opava, Czech Republic. In 2006 together with 10 other Central Eastern European photographers, Rafal created a photo collective Sputnik Photos to document, promote and spread knowledge on transition issues in CEE countries. His works have been exhibited in Poland, Finland, Spain, Japan, China, the USA, and the Ukraine. He has received numerous awards for his work, including the Photography Book Now - Grand Prize in New York, the Grand Press Photo Prize in Poland, the World Press Photo Prize in the Netherlands, the BZ WBK Press Photo Prize in Poland, and the Guardian Weekend Photography Prize in Great Britain. Today he lives and works in Warsaw. The Brandts centre (formerly Brandts Klædefabrik- Brandt's Textile Mill) was founded in 1987 in an old industrial building complex under as Denmark’s first international centre of art and culture. The Photography Museum (Museet for Fotokunst ) forms part of the complex, next to Kunsthallen Brandts (The Art Hall at Brandt’s), and Mediemuseet (The Media Museum). Since 2000, Brandts has been undergoing a significant expansion, in result of which it has become a cultural institution of unique standing, not just in Denmark, but abroad as well.